Download PDF: English or German. As a professional web service provider, StorageBase offers its customers in conjunction with the business data center operator First Colo GmbH powerful KVM vServers based on Proxmox VE. The company has received several awards in the area of availability and its core competencies are in monitoring, scalability and support. 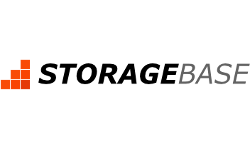 StorageBase is strengthening its market position in the hosting business in the German-speaking area and is working on constantly improving its day-to-day business. As a timely and highly specialised IT service provider with the claim to enhance its own services continuously, StorageBase sees itself constantly challenged in the fast moving IT market. Today’s customers, especially those in the storage business, are demanding state-of-the-art server environments, as well as the right certifications. Although, StorageBase was able to create the optimum conditions for efficient daily operations right from the start, the managers of StorageBase had increasingly growing demands of themselves in order to meet the individual needs of their customers even better. “In search of the right solution, we discovered the offering of the First Colo data center at the same time as Proxmox VE. First Colo is a Proxmox hosting partner and was able to provide us with a high-performance Proxmox cluster connected to the Ceph Storage. This way we could benefit from strong cost advantages over other providers of equivalent products. In addition, as an open source solution Proxmox VE is highly reliable while also providing us with the highest level of flexibility by combining KVM and Linux containers on a single platform. Last but not least, the virtualized environment is very powerful and truly convincing due to its high availability”, says Julian Weiler.